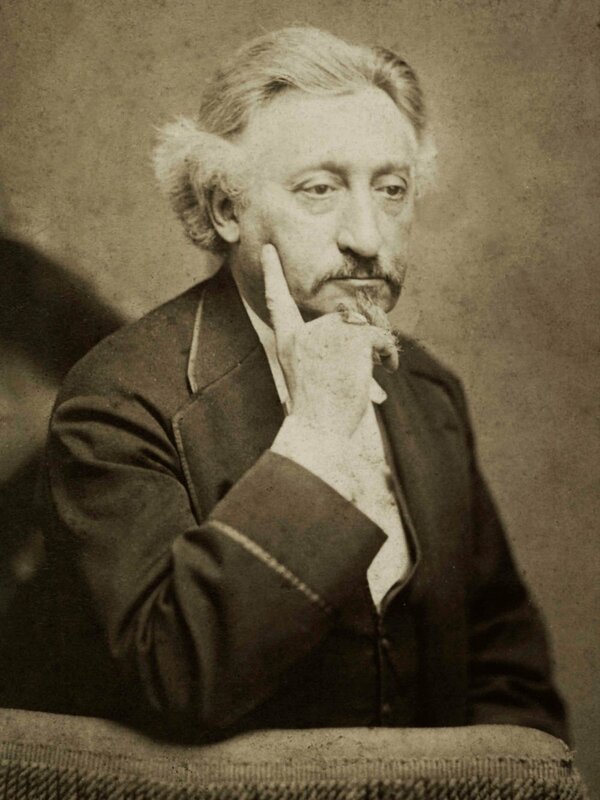 The Santini family of Biloxi, Mississippi originated at New Orleans with Joseph Santini (1817-1874), a native of Trieste, Italy. Here Mr. Santini married Margaretha Muller (1828-1931), a native of Gutenberg, Bavaria, Germany. 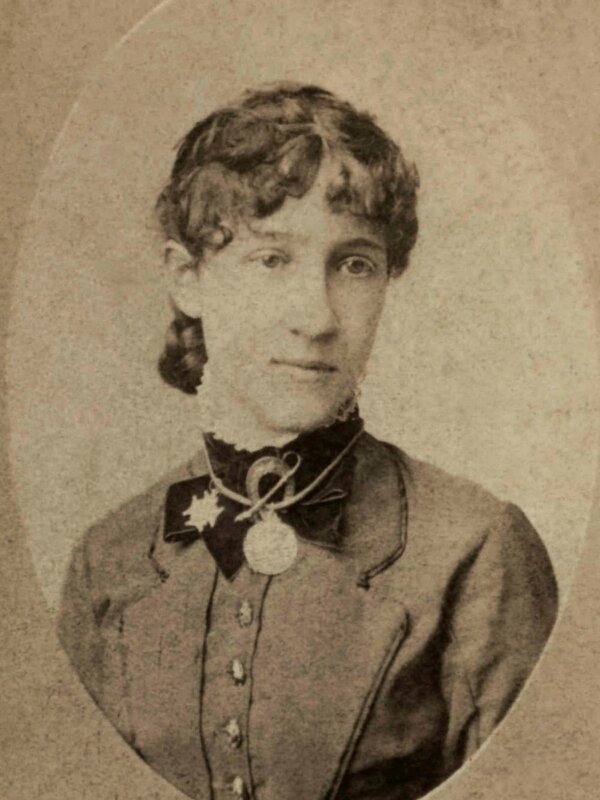 They were the parents of seven children: Gabriel Santini (1855-1890) m. Otelia McCue (1856-1884); Marie Josephine Ursuline ''Marietta" Santini (1856-1929); Joseph Santini (b. 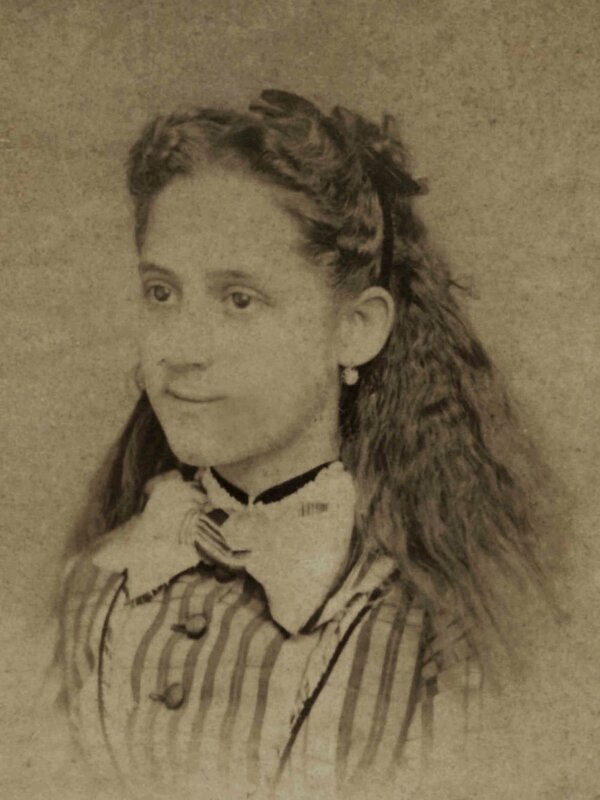 1859); Josephine A. Santini (1860-1966); Rosetta Santini (1863-1949) m. Emmett S. Donnell (1853-1917); and Gabrielle Mathilde Santini (1868-1869). The Buildings of Biloxi an Architectural Survey, (City of Biloxi, Mississippi-1976). The Biloxi Herald, “Death of Gabriel Santini”, January 4, 1890. The Biloxi Herald, “Local Happenings”, November 8, 1890. The Biloxi Herald, “County Legislature”, December 6, 1890. The Biloxi Herald, “Local Happenings”, January 16, 1892. The Biloxi Daily Herald, “Donnell-Santini”, February 3, 1895. The Biloxi Daily Herald,“”, April 6, 1901. The Biloxi Daily Herald, “City News”, May 26, 1903. The Daily Herald, “Capt. Donnell dead”, April 28, 1917. The Daily Herald, “Mrs. Santini celebrates 99th birthday”, May 28, 1927. The Daily Herald, “Old citizens dies”, June 13, 1931. The Daily Picayune, “Opening of the Washington Hotel”, April 5, 1842. The Daily Picayune, “Commencement Exercises”, July 30, 1872. The Daily Picayune, “Death of Joseph Santini”, August 12, 1874. The Daily Picayune, “Funeral Notice”, October 17, 1874. The Daily Picayune, “At Biloxi, Miss.”, April 21, 1901. The Times-Picayune, “Deaths”, December 19, 1929. The Times-Picayune, “Deaths”, June 13, 1931. The Times-Picayune, “Former Orleanian 103 years old dies”, June 13, 1931. The Times-Picayune, “Saloon Society kept the old city hopping”, October 18, 1987. I can provide you with pdfs from the University catalogs (both are available for download from Google Books). --There is no record of a Marie Santini as a member of this family in any of the documents I have found, including the Family Bible (which is in my possession). I plan to order the LDS microfilm of Joseph Santini's 200-page will and estate documents sometime in the near future (Orleans Parish Civil District Court, docket #12793, LDS film #1503233). It is possible these documents will provide clues to his origins and continued business dealings in France and Italy. Family tradition holds that he had to leave Europe (he arrived in New Orleans on the Bark Amelia on 25 Feb 1845, having departed from Trieste) because of some threat from the "Black Hand." Family tradition also maintains that his family had something to do with Napoleon Bonaparte. Interestingly, Napoleon's most loyal servant was Jean-Noel Santini, a fellow Corsican who spent his final years as chief attendant to Napoleon's tomb at Les Invalides in Paris. I have an interesting picture of Gabriel and other members of the family standing in front of the house ca 1872 that I could be of historical interest. Please let me know if you want me to email it to you. On more closely examining the photo I sent you of the Santini house, I've come to the conclusion that it was probably taken sometime around 1880 rather than 1872. The child sitting on the lawn to the right is probably my grandmother Norita Santini Martin, who was born in 1874. She looks to be about 6 or 7 years old in the picture. The woman standing directly behind her may be her mother and my great-grandmother Otelia McCue Santini (b. 1853, d. 1884), though I see little resemblance to photos I have of Otelia. In addition, Gabriel Santini looks older than 20 in this picture, probably closer to 30. Attached are scans I made (and tweaked in Photoshop) of old photos from my grandmother's album. 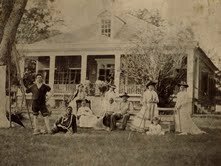 I'd guess that the picture of Gabriel Santini and sisters and other household members in front of the Biloxi house was taken around 1872, when Gabriel was about 20. He didn't marry my great-grandmother Otelia McCue until 1874, and there's no evidence of her in the picture. I also included scans of portraits of Joseph, Gabriel, Rosetta, Josephine, and Marietta Santini in case you want to use them for the article. 1872, graduation from Washington and Lee University: Catalogue of the Officers and Alumni of Washington and Lee University, Lexington, Virginia, 1749-1888. (Lexington, VA: Board of Trustees, Washington and Lee University, 1888), p. 164. https://archive.org/download/catalogueofoffic00washrich/catalogueofoffic00washrich.pdf(accessed 11/16/2013). 1874, graduation from Tulane University Law School: Tulane University Catalogue, 1887-'88. Graduates of the Law School. (New Orleans, LA: Tulane University, 1888), p. 90. Scan of copy from the Library of the University of Michigan, downloaded from Google Books 1/21/2008. I wish I had been able to visit Biloxi to see the house before it was destroyed by Katrina. Is the impression I get from Google Street View correct that it has been replaced by some sort of enormous hotel complex? While I'm sure that the reconstruction is good for the economy of Biloxi, it's still sad to see so much history obliterated and replaced by a Las Vegas-style structure. Many thanks to you for your web site and your efforts to preserve the area's history. Thank you so much for the newspaper story about my great-great grandmother's 99th birthday. I had always assumed that Joseph Santini met and married her in Europe, so the story of her immigration with two brothers was quite a revelation. Now I need to locate a record of her marriage to Joseph around 1850-51. The Santini Family page on your web site looks very good, but I have a couple of requests. The picture of Gabriel Santini isn't centered on the page, whereas the other pictures are. Would it be possible to realign it and the caption? Also, the Marie Santini who married John Courrege was not a family member, so could you delete the sentence about her? The Marie Josephine Ursuline Santini who was b. 15 Sep 1856 (see attached) was Marietta Santini, whose picture I sent you. She was never married and died in 1929 per a letter from Catherine Donnell that was sent to me by the Dunays before the Santini house was destroyed in 2005. 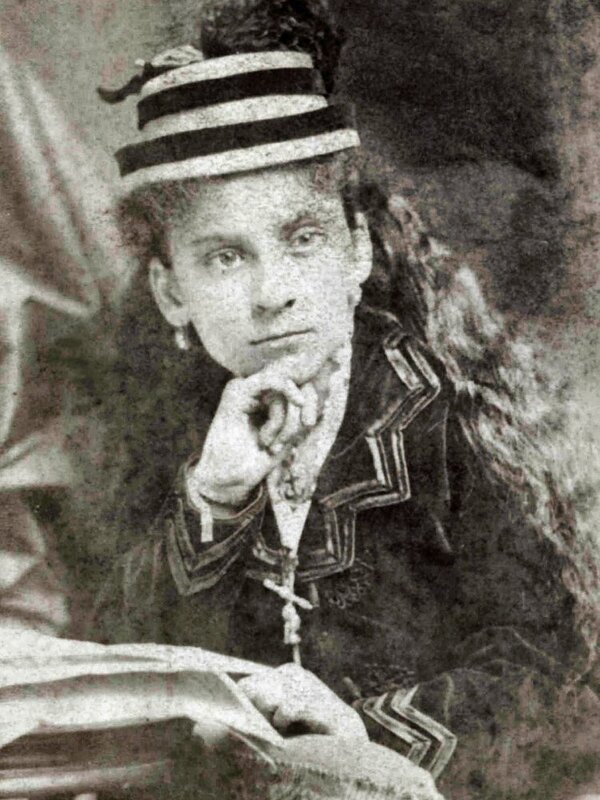 According to Catherine Donnell's letter, Marietta's sister Josephine Santini died in 1966 at the age of 105! 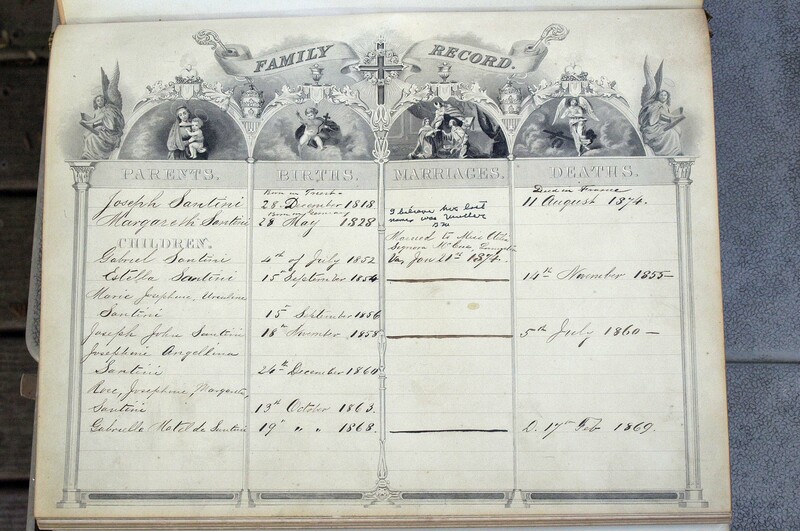 I'm attaching an image of the Bible Record with the birth dates for the children of Joseph Santini in case you wanted to add that information to the entries on them.